The Crew Dragon, carrying only cargo and a human mannequin, launched Saturday from NASA’s Kennedy Space Center in Florida. 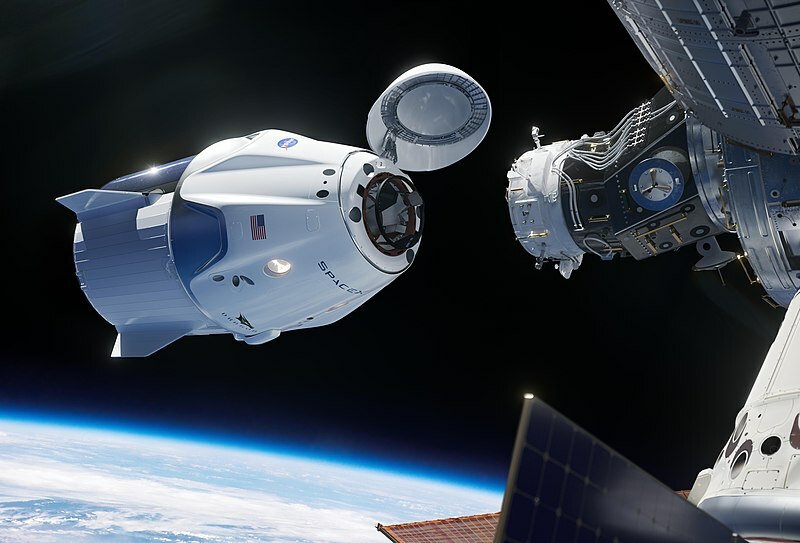 On Sunday, the SpaceX’s capsule became the first American commercial space vehicle designed to carry humans to dock at the International Space Station. The astronauts David Saint-Jacques and Oleg Artemyev opened the hatch and entered the capsule at 7:07 a.m. Houston time. The successful maneuver was also greeted with applause from Hawthorne, California, the headquarters of Musk’s ambitious space company. Anne McClain, the third crewmember at the station greeted “all nations, private companies and people who wake up every day for the magic of exploration” in a welcome ceremony issued by NASA TV. “That day belongs to all of us”, said Anne. “The first day of a new era for the next generation of space explorers.” said Saint-Jacques, astronaut of the Canadian Space Agency. Watch the welcoming ceremony for SpaceX’s Crew Dragon spacecraft.